Breast milk is made up of many different components, all of which have varying benefits for baby. Lactose is an important part of a mother’s milk, but what is breast milk lactose, and how is it different than cow’s milk lactose? What is Breast Milk Lactose? Lactose is the main carbohydrate in breast milk. It comprises approximately 40% of the calories in your milk. Lactose is useful because it decreases the total unhealthy bacteria in baby’s tummy, helping improve the absorption of important minerals, such as magnesium, calcium, and phosphate. It also helps the good bacteria to grow, and it’s great for energy and brain development. The amount of lactose in a feeding stays pretty much the same from foremilk to hindmilk, with the one difference being that hindmilk will contain fattier lactose. Eating dairy does not increase the amount of lactose in your breast milk. Breast milk contains a much higher amount of lactose than cow’s milk. It also contains many non-nutritional factors that are either rare or absent in cow’s milk, such as lactoferrin and lysozyme. These non-nutritional factors make breast milk easily digestible for babies, aid the absorption and bioavailability of nutrients, and have other potential benefits for baby. Can Babies be Lactose Intolerant? Yes, but it is extremely rare, and the symptoms are obvious and life-threatening. People become lactose intolerant when their bodies don’t produce enough of or any lactase, the enzyme required to digest lactose. The undigested lactose is not broken down and absorbed by the body, so by the time it gets to the colon, bacteria will break down the lactose and create acids, fluids, and gas. 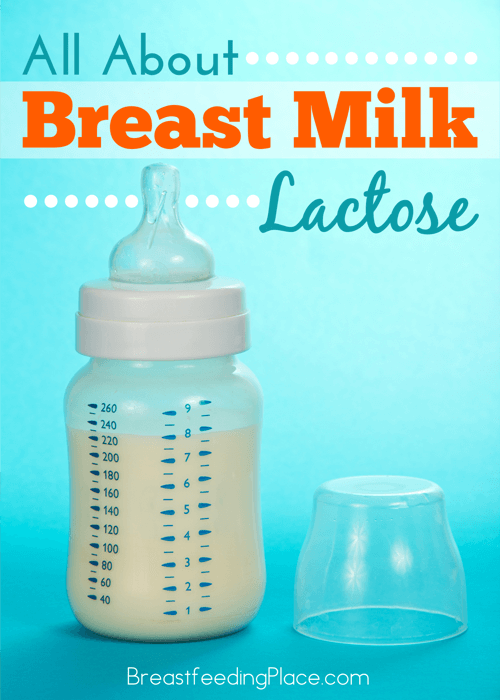 Babies are born with lactase, giving them the ability to digest lactose. As children get older, their bodies produce less lactase, and some get to the point where they can’t digest lactose at all. Lactose overload is more common in babies than lactose intolerance and can appear similar to lactose intolerance — foamy green poo, bad gas, colic — but is not usually life-threatening. Make sure you talk to your doctor if you’re worried about your baby and before making an important decision about your baby’s diet. Note that lactose intolerance is not the same thing as a milk allergy, as lactose intolerance involves the digestive system’s inability to digest lactose, and milk allergy involves the immune system rejecting the protein in milk. Had you heard that breast milk lactose is bad for baby? What are your thoughts?